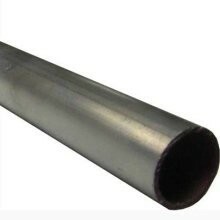 Drawn 6063-T832 Aluminum Tubing. Designed and manufactured specifically to telescope snugly together. Available is .058" wall thickness, from .375" to 2.125" outside diameter, in .125" steps. Standard mill finish. Twelve foot lengths must ship via truck freight.Please note: this tubing is not designed to telescope over the full 12' length. To fully telescope, .049" wall thickness would be a better choice.